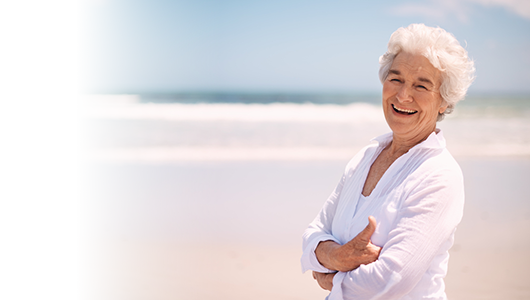 Find out how we can cover you with our travel insurance when you have COPD. When you’re living with COPD, it’s important to make sure your travel insurance covers your holiday plans. With our tailored policies, you can be protected properly. That means you can take a relaxing break knowing that if something does go wrong, we’ll be here to help. Get your tailored quote in minutes online, or talk to us on 0800 033 4902. Why do I need travel insurance when I have COPD? When it comes to holiday insurance, it’s worth doing right. For you, this will mean making sure that COPD is declared and covered on your policy. With our Comprehensive policy, you’ll be covered with unlimited medical emergency cover. You can then go on holiday with peace of mind, knowing that should the worst happen, that we’ll be here to help. We’ll also cover unexpected holiday mishaps – such as losing your baggage and passports. If you’re planning a one-off holiday this year, then our Single Trip Travel Insurance policy may be the best choice for you. But, if you’re planning on taking more than one holiday a year, our Annual Travel Insurance policy may be better suited. You can travel as often as you like, as long as you aren’t away from home for more than half the year. Both our Single Trip and Annual Multi Trip policies have no upper age limit, meaning regardless of your age, you can travel with peace of mind. What questions will we ask about your respiratory conditions? When applying for our cover, we’ll ask you a few multiple choice questions to help understand how your COPD affects you. We’ll always respect your confidentiality and use the information to help cover you properly. How many medicines are prescribed for your breathing condition? How many hospital admissions have you had in the past year? How short of breath do you get when walking on the flat? Have you ever been prescribed oxygen other than when you were at hospital? In the last year, have you had a chest infection or an episode of pneumonia? How many episodes have you had in the past year that have required antibiotics? Has the infection fully resolved? Do you have any other respiratory conditions other than COPD? Do I need COPD travel insurance if I have an EHIC? Having a European Health Insurance Card (EHIC) is really helpful if you’re going on holiday to Europe, but it isn’t a substitute for having good travel insurance. It allows you to get free, or subsidised healthcare in state-funded hospitals and medical facilities where they are available. If you’re travelling to Europe, then it’s a condition of our insurance that you have a free European Health Insurance Card (EHIC). Where you’ve had to use your EHIC, we’ll remove the excess from any medical claim. *Available on our comprehensive policy, £15,000 cancellation cover subject to further underwriting criteria.